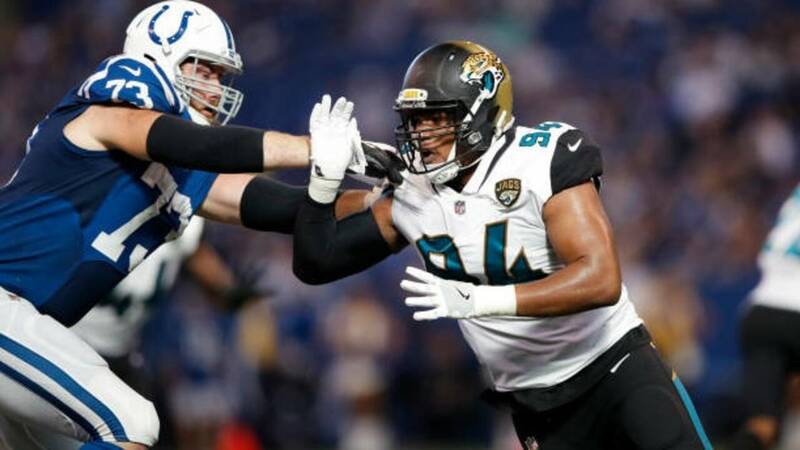 JACKSONVILLE, Fla. - As a rookie Dawuane Smoot played behind All-Pro defensive end Calais Campbell. In a limited amount of snaps he displayed the ability to force quarterback pressures. 2018 Projection: Smoot missed the entire off-season program due to an undisclosed injury. In 2018 the former third round pick will have to fight for playing time. The Jaguars selected defensive lineman Taven Bryan in the first round of the 2018 NFL Draft. With Smoot injured the Jaguars took a look at Bryan backing up Campbell at strong-side defensive end. Jacksonville has one of the deepest defensive lines in the entire NFL. During training camp Smoot will have to impress the defensive coaches in order to carve out a role.